Looking for free audio recording software? We have compiled a list of best free audio editing software for music editors and professional artists. A digital audio editor is an open source audio editing and recording program. It is a computer application or we can say software for audio editing. Digital audio editor software is designed for recording, editing & playing back digital audio. This software can run on Microsoft windows, Linux & a variety of other operating systems. A person can mix multiple soundtracks, convert different audio file format, edit the time and duration of any sound file and do some other typical tasks also. You can also perform tasks like removing the noise, adjusting the audio pitch, editing the audio file via cut, copy and paste option. The above-mentioned actions can be performed with some excellent audio editor software. A list of some of the best free and open source software is mentioned here for you, which are normally used by the DJs, sound engineers, and audio producers. It is a reliable, most used free open source software application for editing & recording sounds. This software is available for windows, Linux & other operating systems. This can be used for importing & exporting of audio file formats, multi-track mixing, recording & playing back sounds, changing tempo and for other typical editing tasks. This one of the best free audio recording software. It is easy to use the program. This application provides you the familiar and attractive features to edit the audio files. It can be run on Linux with features like editing music, managing MIDI ports and recording sounds. It is a free audio editor with features to edit & record audio, batch converting & producing music loops. This software application works on windows only and can be used as the free mp3 editor. It is a free audio editor program, which works on windows XP/VISTA/7. This software can be used for precise editing of an audio file. Through this software, changes can be done on a portion of the file, just like a patchwork. This software is the best for audio pitching work. It basically does some stats work to normalize the sound of an audio file as per the human ear requirement. You can get this software for windows only. If you need to edit a mp3 file without affecting its quality then this software is what you may need. It is high-quality work software, which saves the encoding & re-encoding time of an editing work. It is an easy to learn software which can be used for recording the music, editing & mixing audio files & burning the files to a CD. This is available for windows & Linux. This software finishes the work in a high quality, it normally allows the user to record and edit music, burning new audio file CD & adding effects like normalize, amplify & echo to the sound file. This software is quick to learn application which provides you the basic features of editing & recording a file. You can also use it for DJ mixing & burning CDs. This software is called as a drum machine for Linux. It supports all high profile formats by which you can do any kind of editing work on a sound file. It is a quick and user-friendly software. Browser based music manipulation tool: It is a highly sophisticated audio tool with features like filtering & modulating the audio file, controlling the speed of a file & mixing the track with some other audio files. This software supports the input file formats like AVI, MP3, OGG & WAVE. It is a fast and easy to use application with all the basic features of editing music & performing undo options. It is a fast application used to cut, convert & extract mp3 music from a file. This software works on windows & supports more than 40 audio & video file formats. This software works on Linux, windows & any other operating system you may have used. It is normally used for splitting & extracting the audio files with some added filtering features in it. As the name suggests this software is designed to merge serve tracks into a single track. The best thing about this software is that you need not require installing it on your computer; all the mixing can be done online. You can easily manage the audio & video files on your computer with free open source software. It almost supports all the high profile formats with an easy to use interface. Simple software that can edit, record & convert the audio files. This application can be run on windows, Linux & other operating systems. It is a simple & easy to use music editing application. It is a free software with the user-friendly interface from which you can easily edit a file and add the beat to a sound file. It is easy to import and export files through this software. 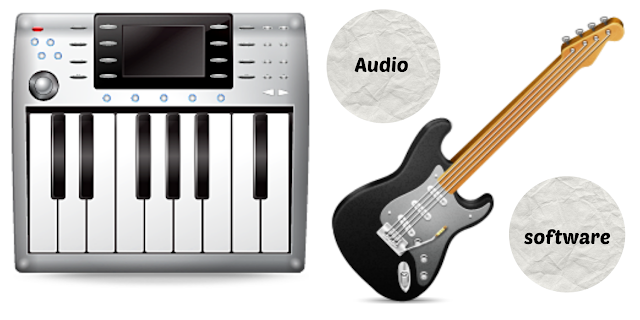 This software is designed for a personal home audio workstation purpose. It is a c++ written software which can serve all the needs of a workstation. The interface is modern & user-friendly, which can use for any kind of editing feature. It is a user-friendly software with fast & easy to use features. It is available for all kinds of operating systems and can be used without any complications. This also allows you to work on several files at a time. It is a kind of pitch editor and shifter application which can be instructed to shift the pitch up & down by some relevant amount. This software runs on Linux operating system and provides you the auto scale rotate & pitch detector features. It is a pitch correction software available for Linux operating system. This can easily provide & accept MIDI output & input. The pitch correction is more accurate in this software than any other software normally does. This is a pitch correction software which works in two modes of pitch correction: Fixed scale & MIDI. GSnap normally takes the monophonic input signal to operate and detect the pitch correction. This software can be used for enhancing the quality of an audio file. It is an easy, fast & user friendly application which can be easily installed and removed from your system. This software supports all the audio file formats and gives you an option to edit the files on windows. You can convert the files from this application and enjoy the CD ripper and burner option too. This audio file editor works on OS X and Linux. You can also avoid installing this software by using its shortcut provided in the main folder. A person can perform all the editing & mixing tasks with this software. This open source software can be used for pitch control & music editing both. The output audio quality is reliable as the file remains uncompressed. A person can easily use this software for control of pitch and volume. If you have to perform the simple editing & mixing task, then this software will definitely fulfill your requirement. It normally works on Linux and offers feature such as multi-track audio control, file conversions, recording & mixing of files. This software is mainly designed for working on Mp3 files. This can split your files with an ease and in a fast manner. The user can also control the file using the stop and start button. This software is not limited to Linux only; you can use it on other operating systems also. It is basically designed for audio control and editing purpose. You can easily use this software with a fast speed. It is an audio editor which can be run on every compatible operating system. This software is loaded with lots of features which can easily solve all the purposes. The features are easy to use & understandable. This is a simple to use software which easily runs on windows & Linux. This application tool is extendable & can be used for sound manipulation & visualization. It also contains a plug in architecture which can easily add any new functionality in it. This software has a high-quality interface, which is designed for speed, accuracy & ease to operate purpose. The quality of editing, mixing & the recording is excellent in this software. You can easily use this software. This software is best to use for splitting and converting the audio files. It supports all kinds of possible formats & can easily split an album into various multiple tracks. Simple to install & operate. If you need a professional sound work, then this software will definitely be your first choice. It is fully loaded with all kinds of features & effects like echo, amplification, noise reduction & editing music. The audio editing software is in daily use now. The DJs, sound engineers & studio workstations are using this software on every kind of audio file. You can play with the music and invent some new themes by using the above-listed software. This software has replaced the need of big electronic gadgets; now a person can easily mix the audio files, play background music & add effects like echo, bass, beat, noise reduction etc. You can easily get a software of your choice now. "A digital audio editor is an open source audio editing and recording program" NO, It may be open source, but that does not define it!